americanequipage.com now carries VooDoo Tactical's Universal Equipment Bags. 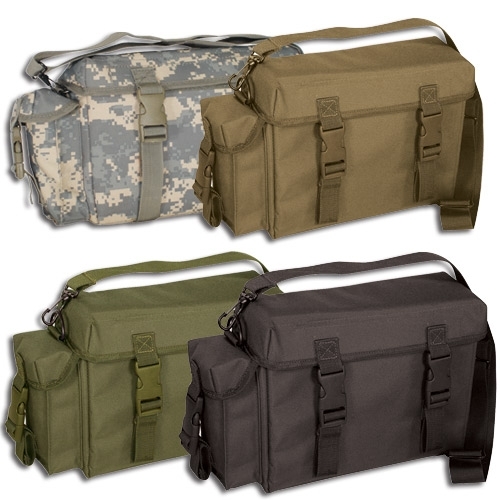 This military accessory is great to store anything that may need a little extra protection. - All around padding to protect your valuable possessions. - Small side pocket covered with buckle closure flap. - Main compartment measures 10"L x 8"T x 3"D.
- Side compartment measures 6"T x 3"W x 1 1/2"D.